How do I set up our company for view my paychecks. I have all their emails and normally just email their paystubs. Welcome to the Community. I'll be happy to explain how your employees can access their paystubs. QuickBooks Payroll is now using a new website called Workforce instead of view my paychecks. The set up is simple and your employees will be able to accomplish this. Check with your employer to see if QuickBooks Workforce is available for your company. Make sure you have your Social Security number (SSN) handy. And the net amount of your last paycheck issued by the company. The net amount is your take-home pay. We'll need this info to verify who you are. And match you with the correct company and paycheck info. Sign up for an Intuit account. An Intuit account allows you to access multiple sites and products with one user ID and password. You'll be asked to provide an email address, a password, and a security question and answer. In case you need to recover your password. Enter your SSN and the net pay amount from your last paycheck issued by the company. Once they complete this process they will be able to view their paychecks with ease. For more information on setting up Workforce, click here. If you have any other questions, please don't hesitate to reach out. We switched from desktop QB to online QB in May of 2017. Then switched back to desktop QB in January of 2018, due to our database size. As of 3/8/2019, employees were able to view their paychecks online. I know there was a switch-over to QB Workforce, however my employees cannot access their recent pay because we are no longer using QB online. (I have tried entering the social security # and most recent net pay; it takes the employee to the same page, which shows the latest paycheck from Feb 2018.) Is there another site for desktop users to utilize? Any suggestions/help is much appreciated. Increasing database size indicates your business is doing great. Congratulations on your venture! 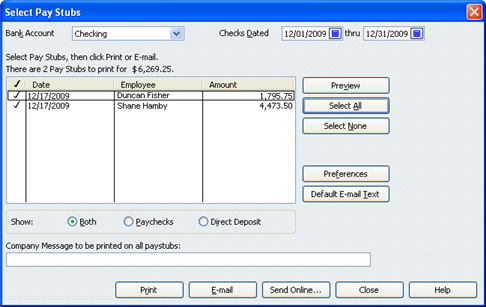 I can share some information on how to set up online pay stub access for employees in QuickBooks Desktop. Great news! You can now let your employees view their paystubs online using QuickBooks Workforce. To enable this service, you must have an active payroll subscription with us. Open QuickBooks and sign in as the Admin. 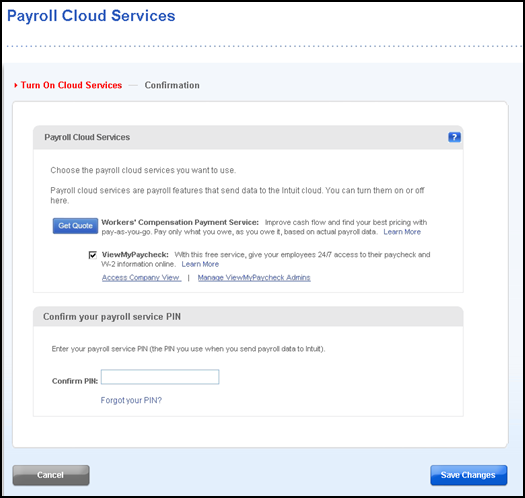 Select Manage Payroll Cloud Services. Mark the QuickBooks Workforce box. On the to the Confirm PIN box, enter your payroll service PIN. Press Return To QuickBooks in the confirmation window. Go to the Employees tab and select Employee Center. On the Personal topic, add the Social Security No. Go to Address & Contact, add the Main Email. Choose Print Forms then Print Pay stubs. Mark the paystubs you want to upload. Have your employees access QuickBooks Workforce website so they can set up their account. Please update me on how it goes. I'm here to lend you a helping hand whenever you needed it. Have a good one!